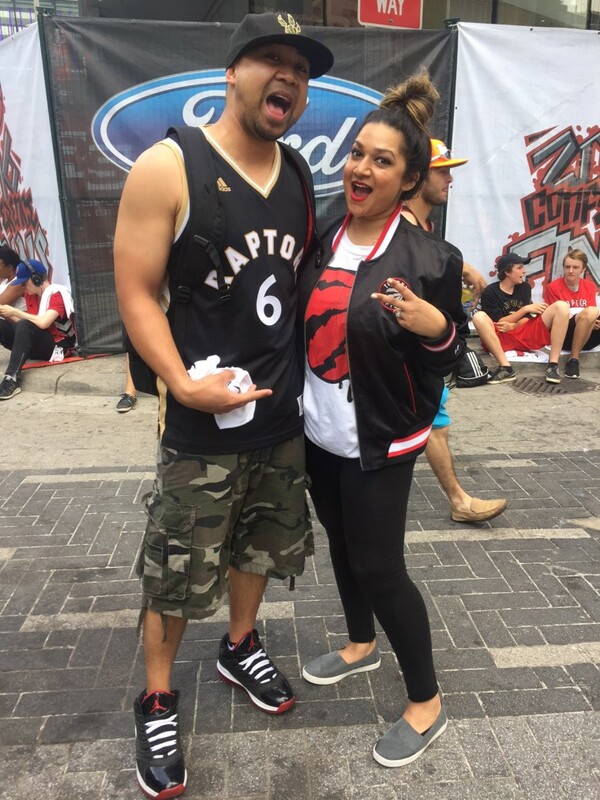 Before Game 5, talking to fans at Jurassic Park in Toronto about the team’s historic season. 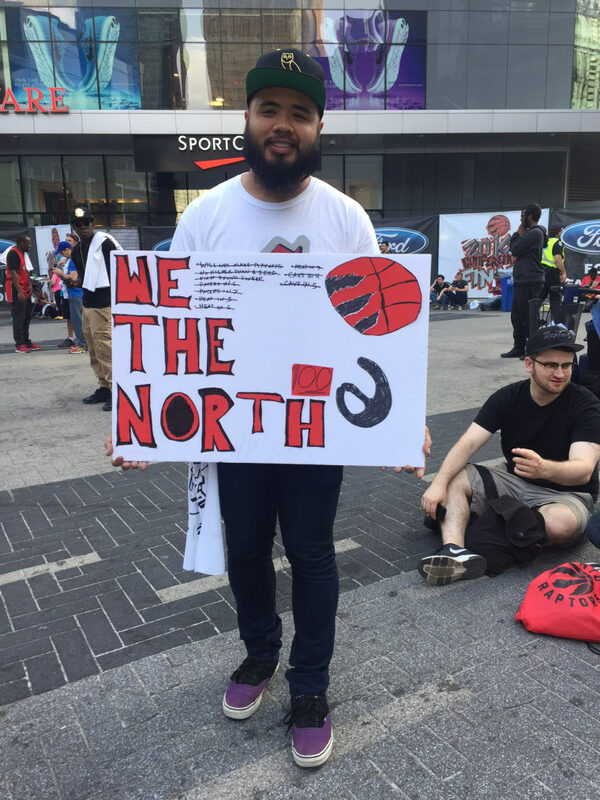 No one, not even the vast majority of the city of Toronto's 2.5 million residents, predicted the Raptors's performance in the NBA Eastern Conference finals. The team was once believed to be facing a clean sweep by LeBron James and the Cleveland Cavaliers, but are entering Game 5 with the series tied 2-2. 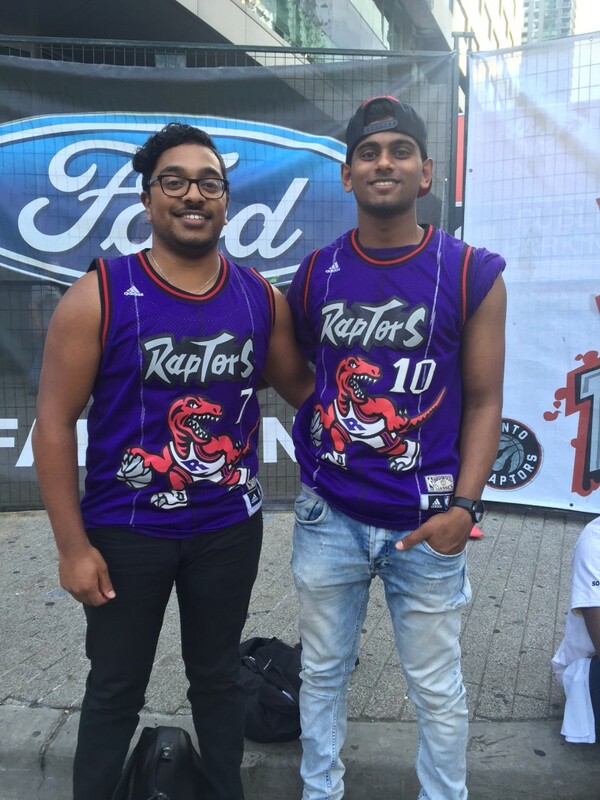 Pride for the team crackles throughout the city, but in the hours before Game 5 tip-off it was truly electric around Jurassic Park, a 2,200 capacity gathering space for Raptors fans outside the Air Canada Centre. The Raptors have spoken clearly for Toronto in their dominating performances, demanding to be taken seriously. But we still talked to the fans, just in case they had anything they wanted to add. Jocelyn: The team has been impressing Toronto very much this year, but they've been doing well all these years. I've never given up on them. 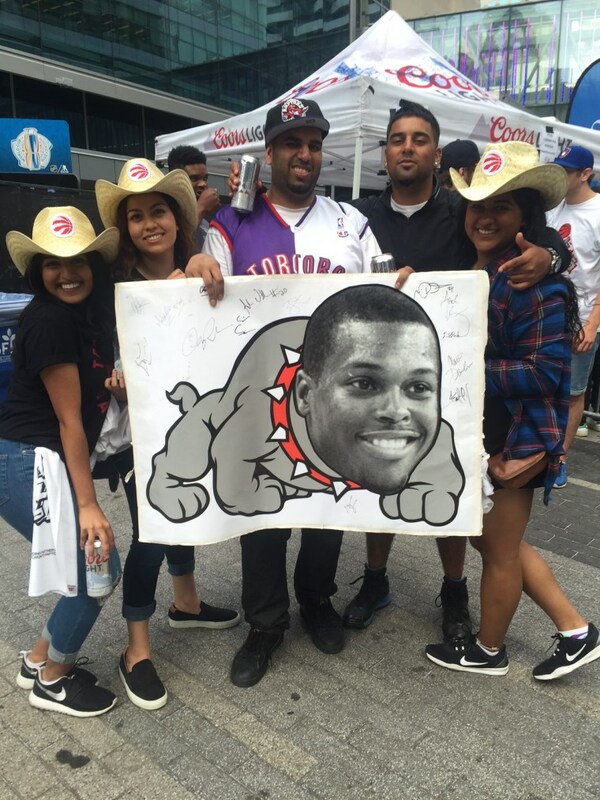 The city is coming together around them, it's a true team spirit around Toronto. We're really proud of them. Marvin: I've been a fan since '95. We're not just a hockey town. It's nice that they're getting recognition, finally, but it's not nice to get recognition for the wrong things. Some people say we won because the other team aren't playing up to their own standards and the Raptors are just getting lucky. It's better that they get recognized for playing well, which is what they're doing. Raptors ball isn't the prettiest at times, it's kind of stressful at times, but that's what everyone's used to here. To make it this far you have to be doing something right. Akarim: When the Raptors play the right way, they can compete with any team in the league. They just gotta move the ball. A lot of people say "defense leads to offense," but with this team offense leads to defense leads to offense. When they move the ball, and guys get easy shots, then on the defensive end they have a lot more energy, then they cause turnovers. Offense leads to defense leads to offense. Serena: All I can say is we're coming up. "We The Other," fam! Arslaan: It's been a great run so far. I didn't expect them to get this far, but I'm with them to the end. Theo: It's great to see a team everyone expected to get sweeped win two games against the best team in the east. I just wanted them to get out of the second round, maybe take a game from Cleveland, but this? This is crazy. 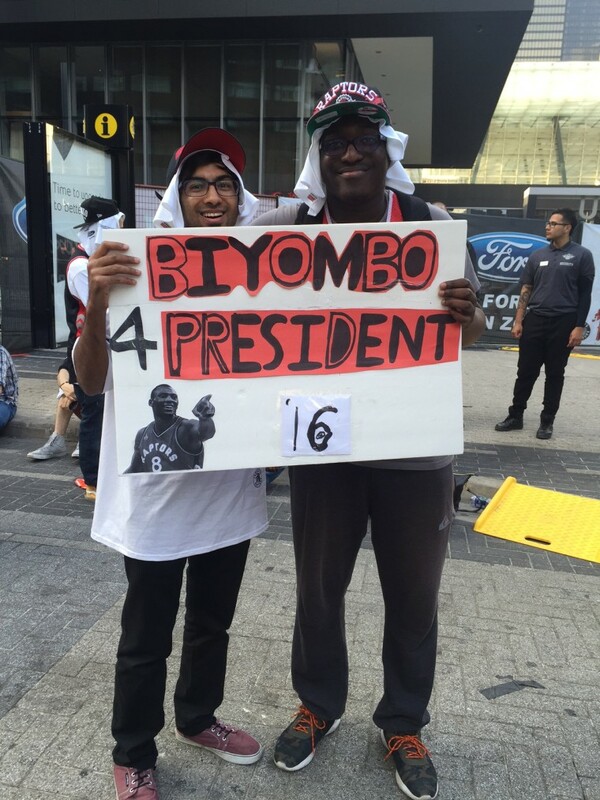 What do you like most about Biyombo? Arslaan: Before I didn't really think about him that much, but he's blown up a lot, shown a lot of heart, so this sign shows that we really respect him. 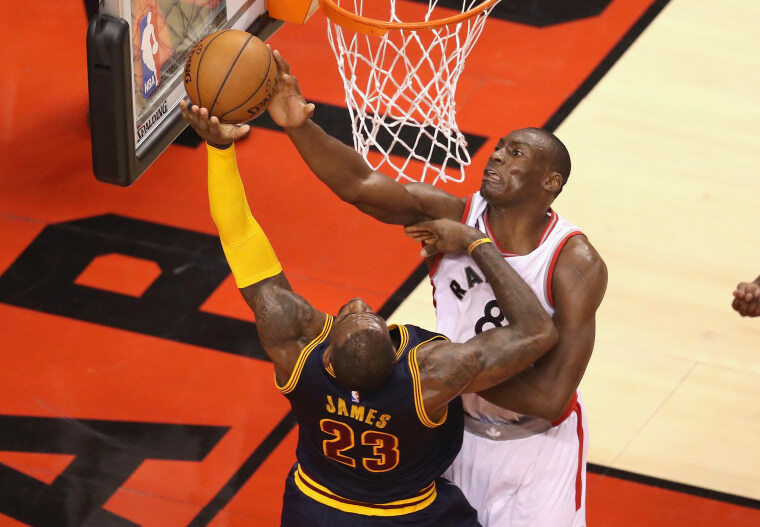 When he blocked LeBron, it was intense. My whole house exploded. It showed we could play at the same level as the Cavs. Francis: Here we are, the second seed in the east, clearly we've made an impact. No one expected we'd get anywhere. I had faith, but they exceeded our expectations. These past two games have been showing how much we have. To make the finals we gotta keep Cleveland a jump-shooting team, keep LeBron uncomfortable, keep their stars uncomfortable. We work best when we attack the paint and hit our free throws. We gotta keep that going. People will always doubt us because we're the one team in Canada and our playoff track record hasn't been that great. But you know what? We're here now. Any drafts you'd like to see in Toronto next year? Ben Simmons, for sure. He should come to Toronto because we got a young team, young players and a great talent. This is just the start. We're just about to hit our peak. We're going to be here for a long time. Dhiviyan: They've been pretty inconsistent [in the post-season], but that's how they've been all year. They've been winning because of their defense, but Kyle Lowry and DeRozan are finally stepping up. But they've been underrated, for sure. If you look at all the American outlets, no one's talking about us. ESPN, CBS, no one's talking about us. But that's the way we like it. We're underdogs. We have an underdog mentality, and it works to our advantage. We play better when no one's looking at us.